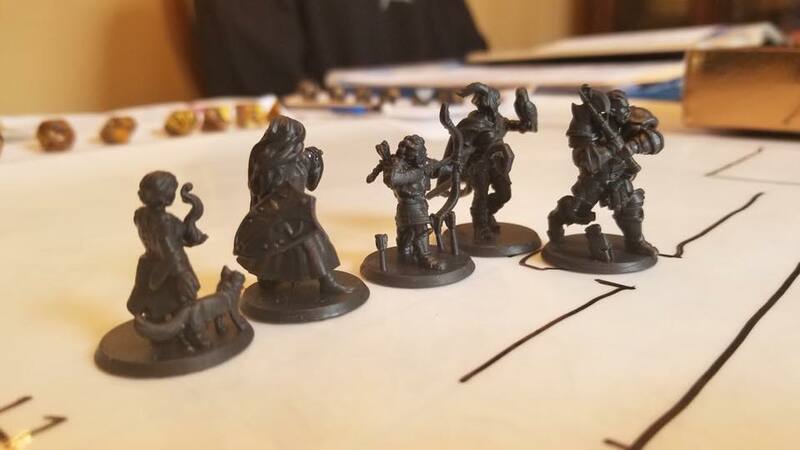 When did you first start playing D&D, and what made you interested in trying it? I first started playing February of 2017, at 72 years young. My children were playing and had invited me to join them. With much trepidation, I said yes. Did you find D&D difficult to learn? What would you say to people who want to play but are intimidated by the rules? Yes, I did find it very difficult, but my son and daughter in law are very patient with me and teaching me. I would say to those people intimidated that you should try, as long as you are with a group of patient, caring people who want to have a good time and are willing to keep your training wheels on for as long as you need them. 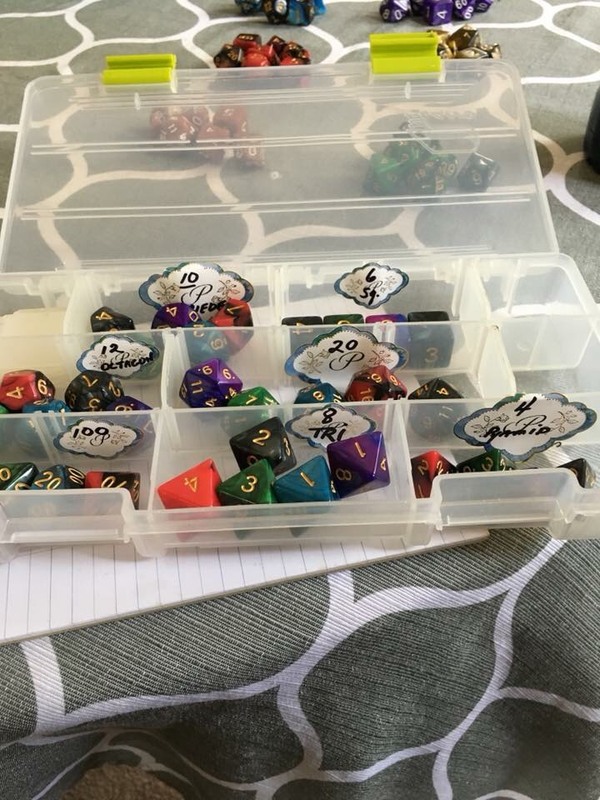 The DnD Grandma's first time playing! Tell us about your first character, Mellie! What did you use for inspiration when you created her? Mellie is a Halfling Lore Bard. In our party, my daughter in law played a cleric and her sister played a druid so we had healers. But we didn’t have a wizard, so I decided to focus on damage spells and turn her into more of a wizard-type bard. I guess my inspiration for her was someone who I like to think I would be if I was in that world: patient, caring, laid back, trying to aid her companions (inspiration) but when she is pushed into a fight... all bets are off! What do you enjoy most about D&D? What keeps you coming back for more? The complete immersion into the story. It's wonderful escapism. You play every month with your children and children-in-law. Do you think D&D has helped bring your family closer together? Without a doubt. The bond this game creates is absolutely magical. Has D&D impacted any other parts of your life away from the table? Absolutely. It's made my life brighter, happier, improved my problem solving skills, and made me a little more comfortable and confident in my choices. You just finished your first campaign, and Mellie’s story has come to a close. How did the campaign end for her, and how does it feel to be moving onto a new story? Well we are playing our final “epilogue” session in a few weeks so keep an eye on Facebook and Twitter for what happens to her! It’s bittersweet to move on to a new story: I’m going to miss Mellie and I loved my son running the game. But he is turning over the game to his sister in law and becoming a player so I’m very excited to be able to play with both of my kids in the party! Do you have ideas or inspiration for your next character? She’s already made! “Bree” - a Halfling Rogue, Urchin background! I like Halflings, what can I say, lol!? Have you played any other tabletop games, or are there any you want to try? Other than board games like Monopoly, no. I don’t think I’d want to try any others anytime soon as I still feel I have so much to learn with this one. What are your other hobbies and passions? I love reading. Stephen King is one of my favorite authors, as well as Ken Follet & Dominick Dunne. I love movies, television shows (I am currently catching up on Peaky Blinders on Netflix.) And of course, visiting and playing with my grandchildren - my son’s dog Crixus and my daughter’s cats Ragnar and Drogo. I don’t care that they have four legs and fur - they are my grand babies and I love them as such! If you'd like to keep up with the DnD Grandma's adventures you can follow her on Twitter as @DnDGrandma or join the party's Facebook group, The Family That Stays Together. We guarantee that seeing her posts will make you smile every time.